Scientists are human, therefore they are flawed: some more than others. Most scientists are passionate about their work and above everything wish to discover something new. And to do this, they need to be first. There are few prizes for second place in scientific research. Scientists have egos, sometimes big egos. Richard Feynman, the iconoclastic Nobel Prize winning physicist, was sufficiently talented to come first several times. Feynman once likened his fellow scientists to worms in a jar crawling over one another to reach the top. Richard Feynman’s view of some of his fellow scientists. Scientists misbehave, occasionally egregiously – here are some examples. 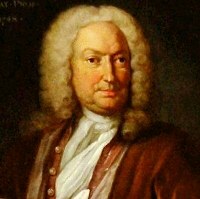 Johann Bernoulli was a brilliant mathematician, so much so that he was called “the Archimedes of his age.” However, he also seems to have had an incredibly jealous personality. It began with never-ending arguments with his older brother Jacob about which of them was the better mathematician. Their mutual resentment grew and in the end they stopped talking to one another. Then Johann’s jealousy switched to his own son, Daniel. Things came to a head when Johann attempted to win the Paris Academy’s Grand Prize for a mathematical challenge and tied with another mathematician for first place. You might think he’d be pleased about this, but he wasn’t, because he tied for first prize with his son, Daniel Bernoulli. Johann flew into a rage, furious that anyone could ever judge Daniel to be his mathematical equal. He broke off all communications with his son. A few years later, Johann plagiarized a book Daniel had written and put an earlier date on the plagiarized book to make it look as if he had done the work first and his son had copied it from him. Now, what did Richard Feynman say about worms again? The conclusions Gregor Mendel drew from his famous heredity experiments on peas were undoubtedly correct. In fact the results from his experiments were too correct, showing fewer random errors than would be expected from unedited real experiments. 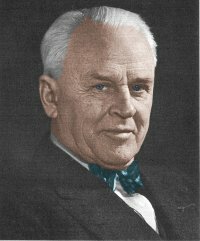 In 1923, Robert Millikan won the Nobel Prize in Physics for determining the charge on the electron. Harvey Fletcher, his Ph.D. student, had been heavily involved in the work: Fletcher suggested the way the experiment should be done, he got the experiment working, and he made the first determination of the electron charge. Fletcher and Millikan wrote up a paper for publication, written largely by Fletcher. Millikan then said to Fletcher that to get a Ph.D. he needed to publish a paper as sole author. Millikan said Fletcher should be sole author of a paper dealing with Brownian motion and gas ionization, while Millikan should be sole author of the electron charge paper. Fletcher felt he had little choice, and agreed – reluctantly – to Millikan’s suggestion. Millikan got a Nobel Prize! Georg Brandt was performing well with the Swedish government’s Bureau of Mines – so much so that he was awarded money to travel around Europe to inspect mining operations. 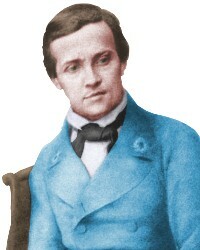 He actually used the grant to travel to the Netherlands where he studied chemistry and physics, which was very naughty! 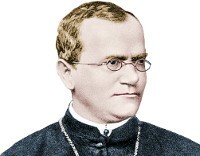 When Brandt eventually returned to Sweden with a doctorate in medicine, he was forgiven and re-employed by the Bureau. Happily, he went on to discover the chemical element cobalt, and in doing so became the first named person in history to discover a new metal. 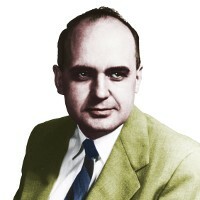 Maurice Hilleman was a foul mouthed, ill-tempered workaholic who expected his research staff to work a seven-day week. Notorious for ranting and bawling at people, he instantly fired any member of staff who didn’t measure up to his military way of running a laboratory. For a time, he kept a row of “shrunken heads” (actually fake heads made by one of his children) in his office as trophies representing each of his fired employees. On the plus side, his longer-serving staff were very loyal to him and he discovered over 40 life-saving vaccines. Louis Pasteur, the revered father of modern microbiology, stooped to trickery to get the better of a rival for anthrax vaccine. His rival, Jean Toussaint, had devised a very neat method of making the vaccine. Pasteur patented a different method, but when he needed to give a public demonstration of anthrax vaccine, he used Toussaint’s method to make it; this was the only way he could be sure it would work. He claimed, however, to be using vaccine made using his own patented method. Unappetizing behavior from the inventor of pasteurization! 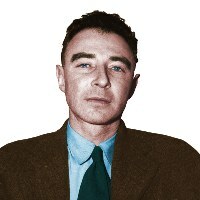 Robert Oppenheimer was a theoretical physicist, the scientific leader of the Manhattan Project, which built the world’s first atomic bomb. Earlier in his career, while doing postdoctoral work at the University of Cambridge, Oppenheimer was tutored by the experimental physicist Patrick Blackett on laboratory methods. Oppenheimer was rather inept in the laboratory. He grew increasingly resentful towards Blackett, and he poisoned an apple and left it for Blackett, who fell ill after eating it. Thankfully, Blackett survived. Oppenheimer’s parents persuaded Cambridge not to expel their son, agreeing instead to get him treated by a psychiatrist. It is dangerous to be right when your government is wrong – Voltaire. Your work will set you free – an SS general. Ignorance is strength – Erik Blaire (George Orwell). I have such admiration for people who doggedly search for the truth, yet live in fear. There’s dishonesty in all walks and science is no exception. Never realized Oppenheimer had been such a psycho. Johann Bernoulli doing the dirty on his own son. Disgusting. I see people arguing sometimes along the lines of ‘who should you trust, a scientist or a politician’ meaning that it’s obvious you’ve got to trust the scientist. Scientists can be dirty rotten scoundrels too, so the answer shouldn’t be automatic.